It was only last week when we showed you a very interesting lockscreen concept where instead of “sliding to unlock” you “fold to unlock”. This “fold to unlock” iOS concept was created by Anton Kudin, a Russian graphic designer living in Krasnodar who specializes in user interface and web design. 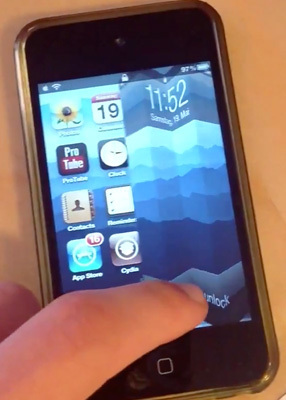 It looks like this concept inspired a developer to create a Cydia tweak to actually bring this functionality to the iPhone, iPod Touch and iPad. As Jonas Gessner (creator of ProTube) is currently creating a tweak called Unfold that will bring the “fold to unlock” effect to your iOS device’s lockscreen. As you can see in the preview video below it looks like it is coming along nicely. It really needs the dropshadow effect. Well “Unfold to Unlock” text sux !! Any ay to change it back to customised one ?